Don't let your flavors hibernate! 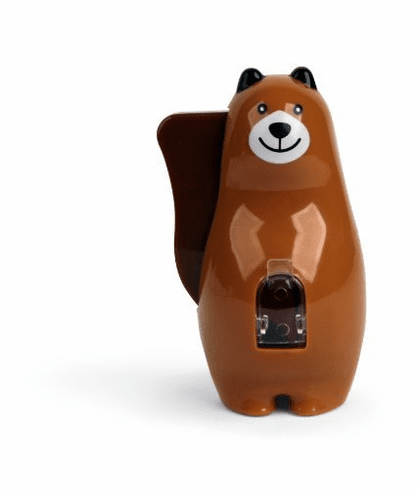 Peppa bear will grind up salt, pepper or your favorite spices. Simply squeeze the side lever to grind spices. Easily refill through see through hole in belly of bear. Made of plastic. Assorted brown and dark brown colors (color is random and chosen at the time of shipping). Measures 2 by 3-1/2 by 2-inch.